If you’ve missed riding the Nikkei rally so far, don’t worry says Goldman Sachs – real estate stocks are still undervalued and a buy. “Speaking with investors around the world, everyone’s looking for laggard plays in Japan because the market’s doubled from its lows,” Goldman Sachs’ chief Japan strategist Kathy Matsui told CNBC. “One that has really lagged heavily is real estate, despite pretty decent fundamentals – vacancy rates are at multi-year lows, rents are going up [and there is] no commercial supply,” she said. Japan’s benchmark stock index, and, to a lesser extent the broader Topix index, have been rising for two years, ever since Prime Minister Shinzo Abe’s return to power. But the momentum escalated in April when global investors finally jumped on board and began buying Japanese cash equities, pushing the Nikkei to fifteen year highs and on its longest winning streak for 27 years. One notable laggard has been Japan’s unloved real estate stocks. The Topix real estate sector index has risen by just 15 percent over the past year, compared to the broader index’s nearly 40 percent gain. Loans to the real estate industry rose to a record 63.7 trillion yen ($515 billion) in the first quarter of 2015, “signifying that real estate prices could rise further,” Deutsche Bank property sector stock analyst Yoji Otani said in a research note last week. “We estimate the sector’s laggard status will very likely disappear,” he said. However, others don’t see the momentum translating into higher prices for real estate stocks. “Real estate stock are already expensive because rising earnings and asset valuations have already been priced in,” Credit Suisse research director and real estate stock analyst Masaki Mochizuki told CNBC by phone. “Real estate stocks will continue to rise with the Topix but are unlikely to outperform the index,” he said. Regardless of whether real estate stocks rise or not, property prices – at least around the capital, Tokyo – have been rising. 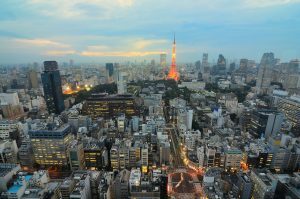 Average residential land prices in the Tokyo metropolitan area were up 2.2 percent on-year in the first quarter of 2015, according to a recent NLI Research Institute note, citing figures by Nomura Real Estate Urban Net. “A housing bubble is brewing in the Tokyo area: the latest lending attitude indicators in the Bank of Japan’s Tankan survey are at the highest levels since the late 1980s,” Credit Suisse’s Mochizuki said. The value of real estate transactions have also recovered to levels seen just before the global financial crisis in 2008. In the year to the end of March 2015, the value of listed companies’ real estate transactions rose 15 percent on-year to 5.3 trillion yen, according to a recent Nomura note, citing an Urban Research Institute survey. Money from overseas has also continued to flow into Japanese real estate. Non-Japanese corporations nearly tripled their purchases in the year ending March 2015, to 1.2 trillion yen, nearly a quarter of total corporate real transactions in Japan that year, according to the Nomura note. 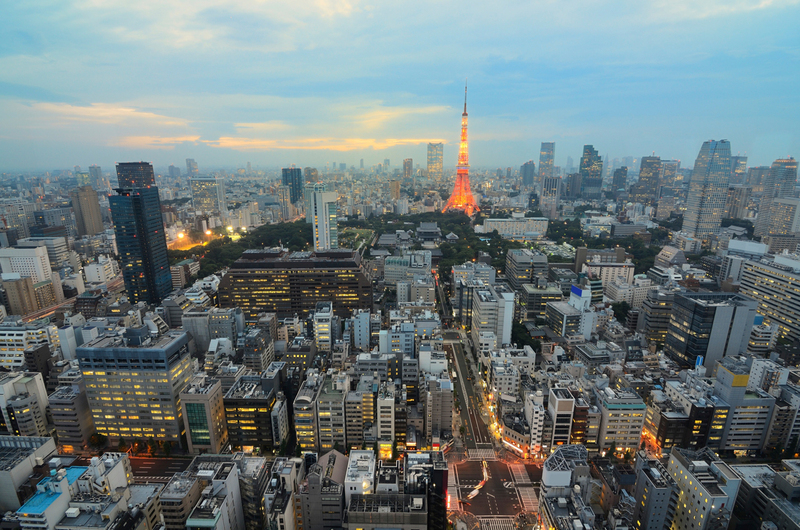 Some wealthy investors are also buying investment properties in Japan, says Goldman’s Matsui. “It’s not your everyday typical foreigners but more wealthy individuals looking for vacation homes or more often just an investment property. Get a mortgage in Japanese yen – that is very, very cheap – the spread between cost of funding and the yield you can get on these properties is the best yield you will find pretty much anywhere in the world right now,” she said. And if an attractive yield is not enough to tempt the wealthy foreign property buyer, Tokyo offers another incentive, noted Matusi. Tokyo has “more Michelin starred restaurants than anywhere in the world,” she said. Share the post "Foreign Property Buyers Pick Japan for Best Yield Around the World"